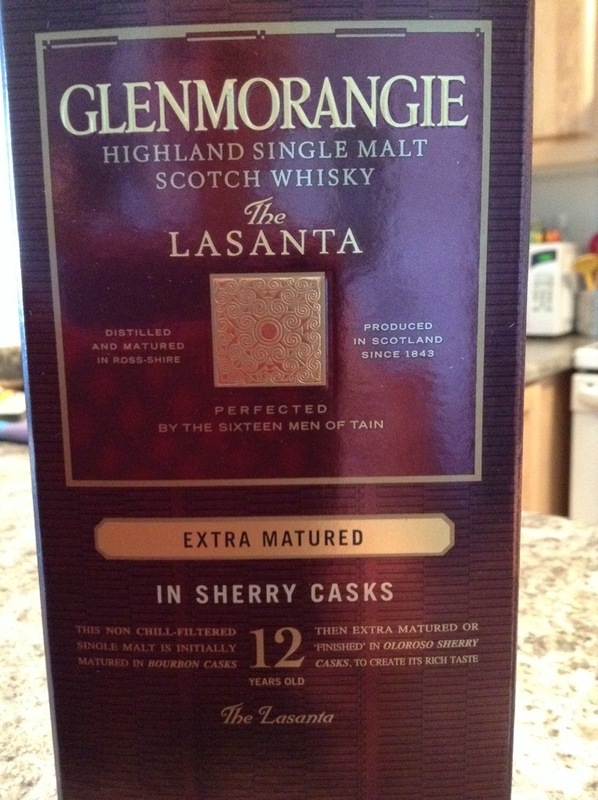 Ah, Glenmorangie. Ahhhh, single malt. Like any fresh convert to its splendours, I’m a gusher. Unfortunately, I was introduced to Glenmorangie Nectar D’or, which spends the last two years of its life resting in Sauternes casks. It’s extremely rare and difficult to find. I have been known to drag hapless family and recent friends around liquor stores in search of it, to no avail. So I’m gazing at the box and saw the tag line, “perfected by the sixteen men of Tain” and couldn’t help a wee fantasy nip to hobbit land. Who are these noble sixteen men? Why sixteen? Why not eighteen or twelve or fifteen? I can visualize them, muscled men in leather jerkins, joking as they work, sharing a cup at the end of the day, heading home to thatched huts where they grab their women and…well, never mind. I have to say I love the mystique of single malt. I love the secretive traditions, the special glasses, the careful instructions about drinking techniques. The taste, well, that’s nectar of the gods. The Lasanta will wait til the sun dips over the horizon and I’m suitably ready for an imaginary wander through Scottish moors. I really think I should travel to the distillery and try to clear up the mystery of the sixteen. Maybe one of the men has a secret dream about a short roundish middle aged Canadian girl….nah, probably not. Of the whiskey! Whatever were you thinking?